Image over: Putting 3 different images together into one manipulated image. 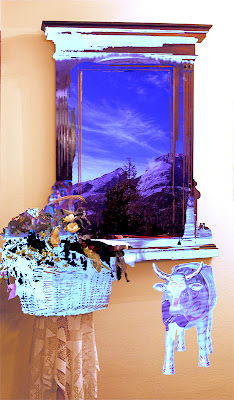 Mountains from Plätz wise, "mirror" from Hotel Santer, and a cow from an interior store in Toblach. 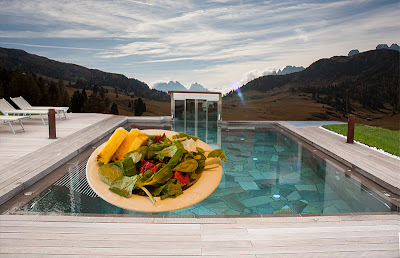 Image under: the delicious salad from Hotel Santer, The Hotel Santer outdoor Pool, and mountain view from Plätz wise.